Paper Pearl: Happy Earth Day! My great aunt built a lasagna garden several years ago and has since had great success with it and super tasty veggies that I sometimes get! My mom is setting forth to make her own lasagna garden and hopefully I will start one as well after our disastrous looking yard gets a makeover this weekend (we hope!). I do not have a green thumb so something simple like this that also uses sustainable products that I can recycle is right up my alley, especially on Earth Day today. 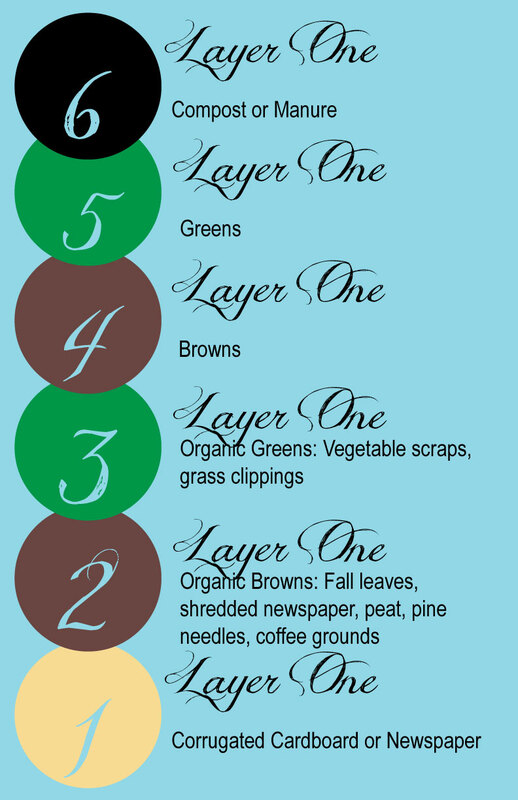 I found a step by step process that I had already been informed of by my aunt and created the graphic above for you to pin and save. Lasagna gardening is a no-dig, no-till organic gardening method that results in rich, fluffy soil with very little work from the gardener. The name "lasagna gardening" has nothing to do with what you'll be growing in this garden. It refers to the method of building the garden, which is, essentially, adding layers of organic materials that will “cook down” over time, resulting in rich, fluffy soil that will help your plants thrive. Also known as “sheet composting,” lasagna gardening is great for the environment, because you're using your yard and kitchen waste and essentially composting it in place to make a new garden. You can make a lasagna garden at any time of year. Fall is an optimum time for many gardeners because of the amount of organic materials you can get for free thanks to fallen leaves and general yard waste from cleaning up the rest of the yard and garden. You can let the lasagna garden sit and break down all winter. By spring, it will be ready to plant in with a minimum of effort. Also, fall rains and winter snow will keep the materials in your lasagna garden moist, which will help them break down faster. When it's time to plant, just dig down into the bed as you would with any other garden. If you used newspaper as your bottom layer, the shovel will most likely go right through, exposing nice, loose soil underneath. If you used cardboard, you may have to cut a hole in it at each spot where you want to plant something. Better water retention, due to the fact that compost (which is what you made by layering all of those materials) holds water better than regular garden soil, especially if your native soil is sandy or deficient in organic matter.